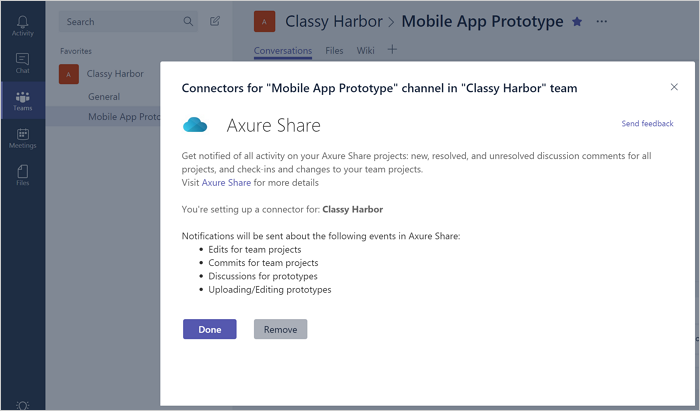 With the Axure Share connector for Microsoft Teams, get notified in Microsoft Teams of all activity on your Axure Share projects: new, resolved, and unresolved discussion comments for all projects, and check-ins and changes to your team projects. 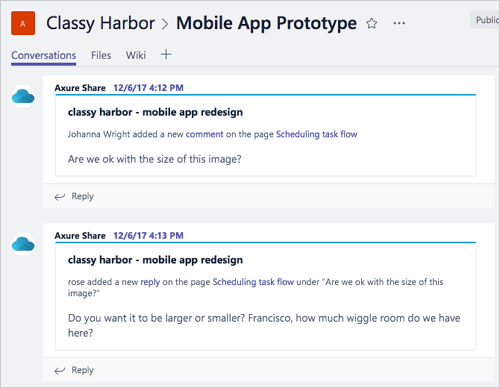 Receive all notifications in a single Microsoft Teams channel, or choose a target team and channel for each Axure Share workspace or project. 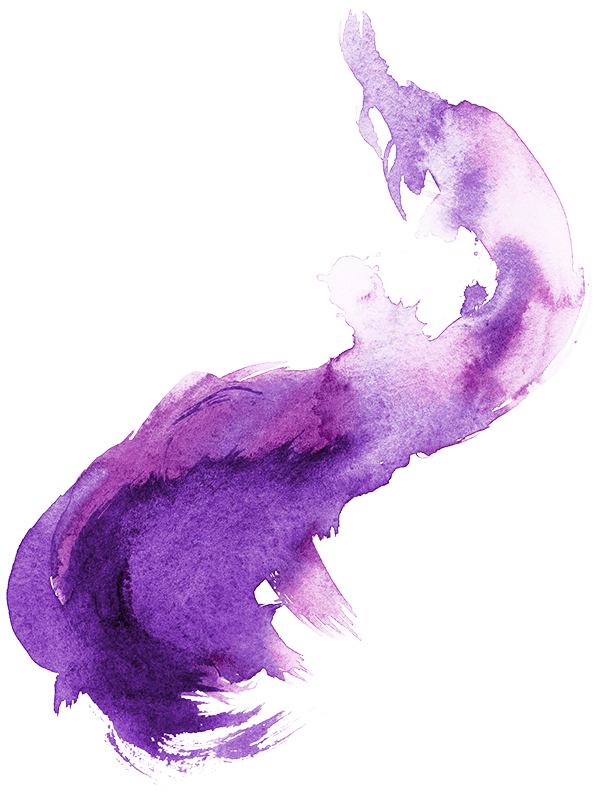 Log in to Microsoft Teams in your web browser or desktop application and open a channel. In either the sidebar or the channel header, click the "..." icon to open the channel options. Then, click "Connectors". 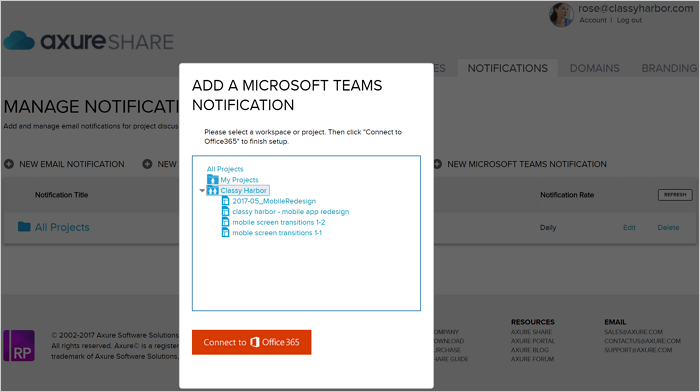 To add more Microsoft Teams notification configurations, follow the same steps detailed above. 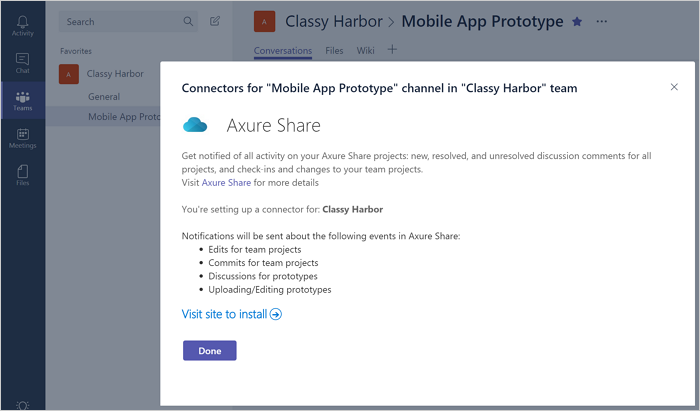 Configure a new connector in Microsoft Teams and then select a new project or workspace on Axure Share. In the Connectors dialog, locate the Axure Share connector and click "Configure". In the Axure Share connector dialog, click the "Visit site to install" link. You will be redirected to Axure Share. 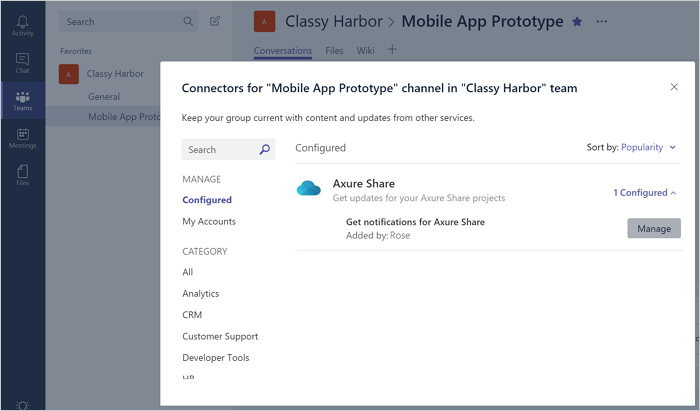 In the "Add a Microsoft Teams Notification" dialog, choose the project or workspace that you want to receive notifications about and then click the "Connect to Office 365" button. You'll now see your new notification on the "Manage Notifications" page. 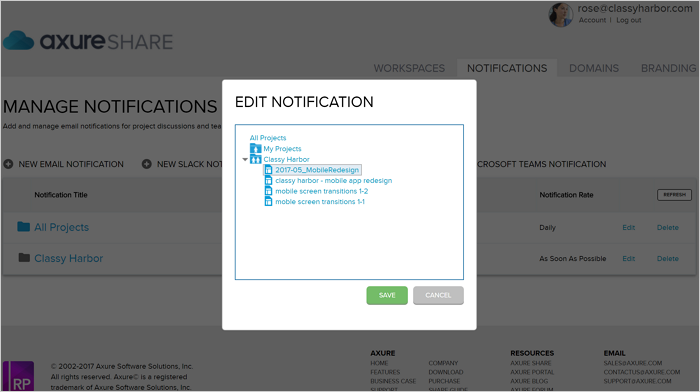 To change the workspace or project that sends notifications to a channel, locate the notification on Axure Share's Notifications tab. Click "Edit". Then, choose the new workspace or project and then click "Save". 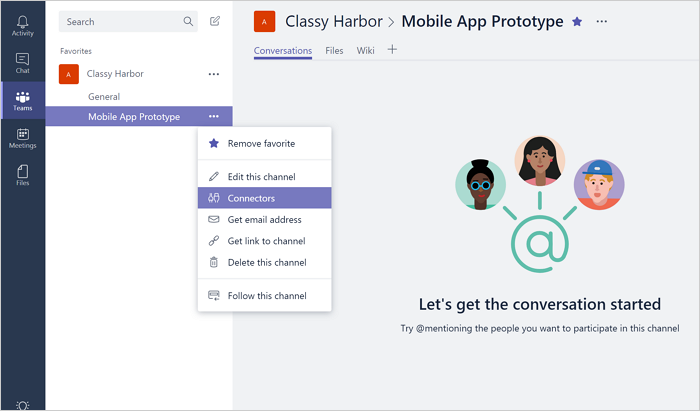 To change the channel receiving your notifications, you will need to make a new connector in Microsoft Teams. First, delete the current connector by locating it in the "Configured" tab of the Connectors dialog. Click the "Configured" link next to the connector name, and then click "Manage" next to the connector. On the next page, click "Remove". 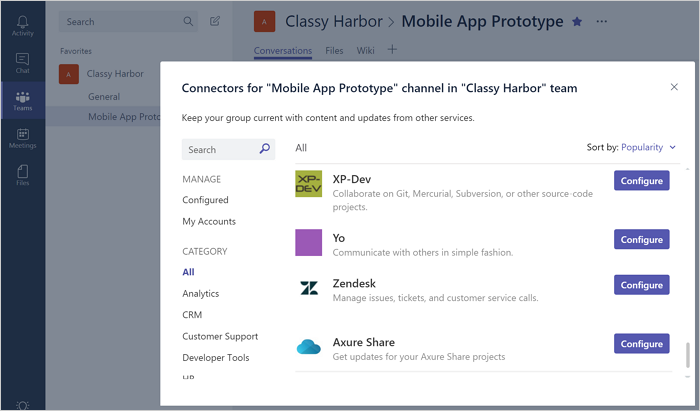 After removing the current connector, follow the steps detailed above to make a new connector in the new target Microsoft Teams channel.